A weekly syndicated music program playing a mix of Christian Country, Progressive Southern Gospel and Positive Country Music. In September of 1995, Dynamite Christian Country began as a local radio program on WCVC AM in Tallahassee, Florida. Eventually Dynamite Christian Country began adding other radio affiliates in the United States, then Canada. In September of 2008 after 13 years of broadcasting, we took a 3 ½ year break. 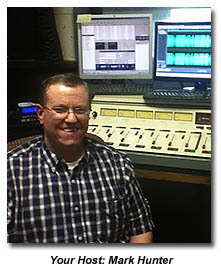 On February 17th, 2012 we returned to radio on 3 radio stations and 2 internet affiliates. We are always looking to expand. We have designed our program so that it can be broadcast on radio stations, internet stations and low power radio stations. Radio programmers can send us an E mail from our contact page if they are interested in carrying DCC. Artists who wish to submit music for airplay on Dynamite Christian Country may also send us an E mail from our contact page. For our listeners, you too may use our contact page. You can also reach us when you like us on Facebook and interact with us there. Thank you for your interest in Dynamite Christian Country.